Convenient, no more looking for the cover. I like the idea of always knowing where the cover is, and having it close at hand when I need it. Also, the price is better than anywhere that I have seen. 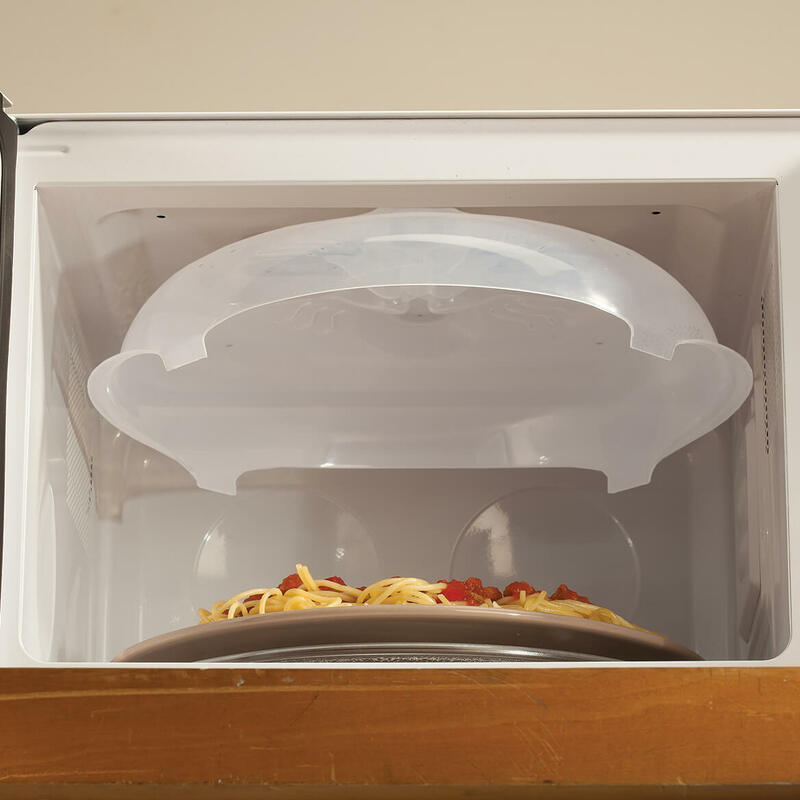 To save my microwave from my husband splattering all the time. This is a great way to store it. I always wanted to try it. I usually use paper plates or other plates. Want to see if it works like it says it does. I think it will make it easier to cover the food. Helps keep the microwave cleaner. How does it stay at the top of microwave? 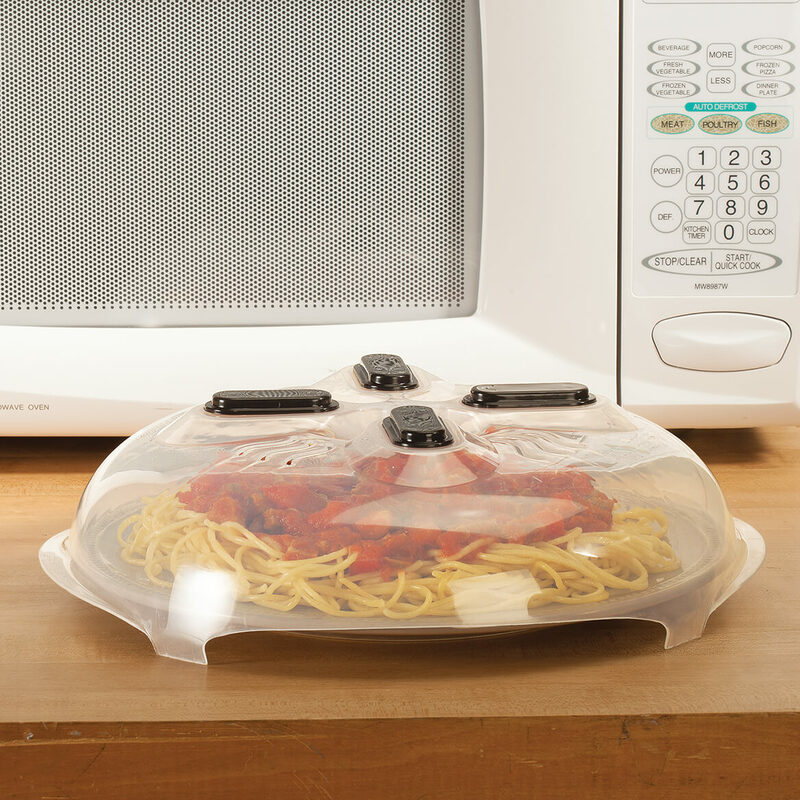 BEST ANSWER: There are protected magnets on top of the cover...it will not harm your microwave!! 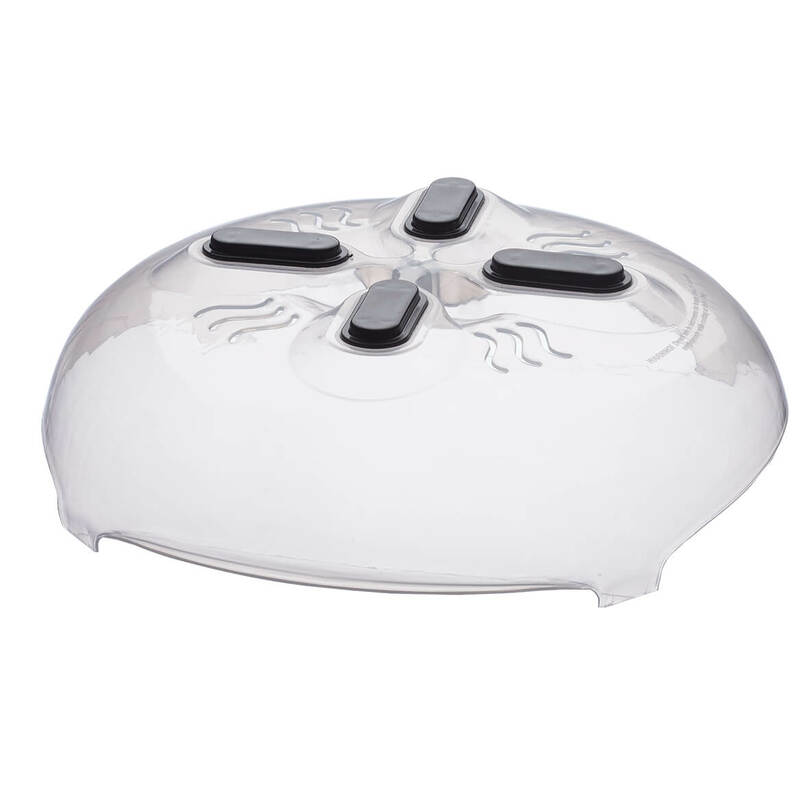 It's the best purchase I have ever made....never have to clean spatters from warming food ever again. It is really easy to wash also! Yes, but just barely magnets very weak. The slightest jar and it falls off.